The voice of the customer has always been one of the most powerful concepts in marketing, and today’s social media platforms act as one giant megaphone for that voice. In fact, social media has fundamentally changed the balance of power between customers and brands because it enables peer recommendations to play a much greater role in purchasing decisions. According to a McKinsey Study, marketing-inspired word-of-mouth generates more than twice the sales of paid advertising, and these customers have a 37% higher retention rate. Given the importance of peer recommendations and their amplification through social media, influencer marketing has become a widely discussed topic among marketers. This is especially true given the prevalence of influencers in the growing “millennial” and “mom” demographics. Influencer marketing can be loosely defined as a form of marketing that identifies and targets individuals with influence over potential buyers. In the past, brands may have focused on popular bloggers and celebrities but today there is a new wave of “everyday” consumers that can have just as large an impact. Currently, when a brand identifies influencers, they often look at number of followers that identity has on social platforms. However, in his famous book “The Tipping Point” Malcolm Gladwell calls out mavens (as he calls influencers) as people who also have a lot of knowledge about a topic. Influence isn’t just having a lot of followers. It’s also driven by expertise and credibility on subject matter and the relationship between the influencer and his or her followers. Platforms like Instagram and YouTube have led to the rise of a new generation of influencers that have amassed huge followings on niche subject matters such as fashion, beauty, and food. One such example is Michelle Phan who started a series of YouTube videos featuring simple make-up demonstrations and tutorials. Overtime, she has amassed over 6 million followers. More important than her follower count is the personal brand she has been able to build. Michelle Phan has become a cosmetics authority that many consumers have come to trust…to the point that L’Oreal actually co-branded a cosmetic line with her. On the other side of the spectrum are a brand’s “everyday” customers and brand advocates. It’s critical not to discount the combined influence of these customers on their own groups of followers. While I may not have nearly as many followers as Michelle Phan, I have close friends who trust my opinion. 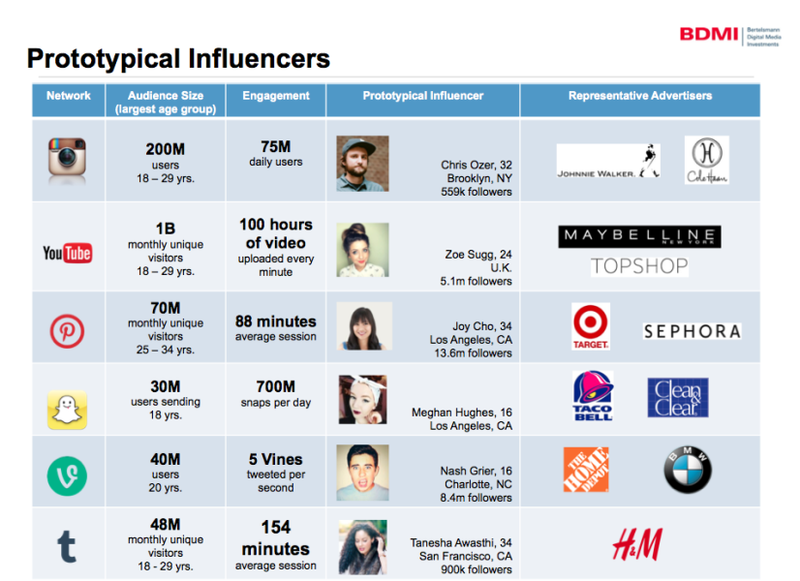 This type of influencer/follower relationship scales extraordinarily fast and creates massive trends in the marketplace. It’s this kind of influencer behavior that has skyrocketed small no name companies to instant fame and fortune. Leveraging your brand’s influencers begins with building relationships with your customer.Given how frequently customers post about brands on social media, investing in a superior customer experience and service should be a priority. Show some love! This could include directly interacting with customers, providing promotional discounts, loyalty programs, or even creating a customer advisory board. By providing a superior customer experience and celebrating your customers, you will encourage more positive organic and authentic sharing about your brand. If you can find your own Michelle Phan, and leverage that relationship to further foster a community. Finally, in addition to improving your customer experience, a brand should also be aware of influencers who are actual industry experts with large followings. Scott Cook, the founder and CEO of Intuit, said it best, “A brand is no longer what we tell the consumer it is–it is what consumers tell each other it is.” He’s hit the nail on the head and the numbers show it. Influencers hold the power and it’ll be our job to cater to them.